The injury bug has plagued the Nationals all season long, and it looks like it has struck again. 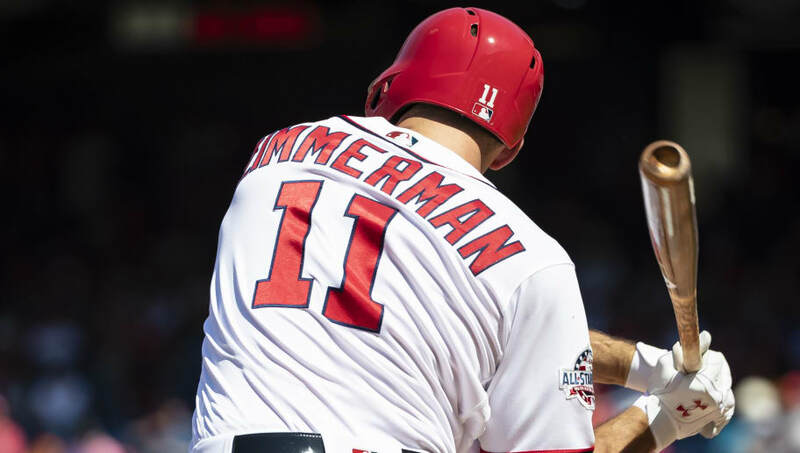 First, it was ​Daniel Murphy, then Anthony Rendon, and now 2017's resurgent Ryan Zimmerman is hitting the disabled list to cap a tough start to the season. Zimmerman has struggled so far this year, leaving many to question whether or not his 2017 bounce back was misleading. But he has been hitting pretty well of late, collecting hits in seven of his last 10 games, including three multi-hit games. But a positive for the Nationals is that coming up behind him is Mark Reynolds. The 34-year-old has plenty of experience, having spent 12 seasons in the majors prior to starting 2018 in the minors. Reynolds is known for his power. He has four career 30-plus homer seasons, including hitting 30 last year with the Rockies. He was snagged late in free agency, and this is exactly why.